For this episode of Nerd Lunch we return to our Drill Downs on the Star Trek movie franchise. Back in episode 06 we looked at Generations and First Contact. Then in episode 46 we looked at Insurrection and Nemesis. 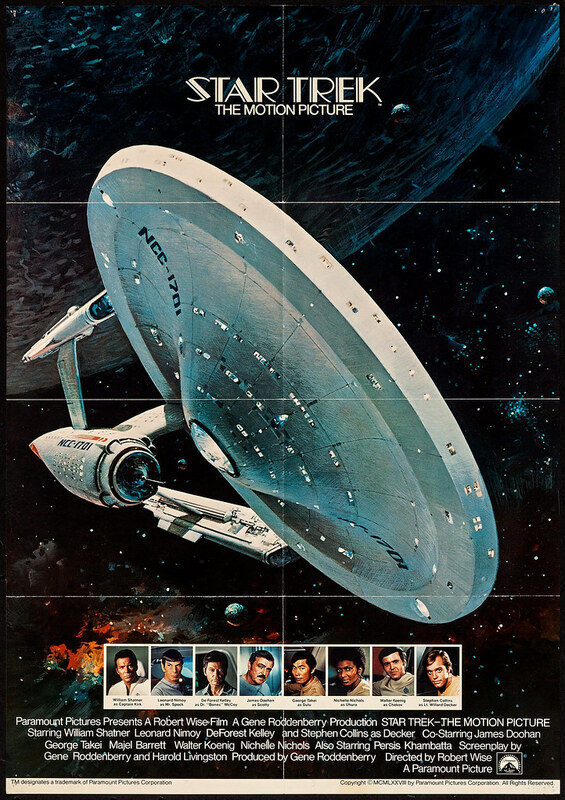 Today, we go back to the beginning and watch the very first Star Trek movie, The Motion Picture. We talk about our first experiences with this movie, we talked about what we liked and didn’t like. We discuss the endless naval gazing, giant sphincters and terrycloth uniforms. And we ponder the place this movie has in the pantheon of other Star Trek films. It’s a good discussion on the first movie. Come join us. Download this episode from iTunes, Stitcher or listen to it on Feedburner. Or listen to it online right here. This entry was posted on July 2, 2014 at 9:14 am and is filed under movies, podcast, pop culture, Star Trek with tags movies, Nerd Lunch Podcast, podcasts, pop culture, Star Trek. You can follow any responses to this entry through the RSS 2.0 feed. You can skip to the end and leave a response. Pinging is currently not allowed.